In a few words, we do everything that has to do with boardgames. And we do it very well! Lifestyle is one of the leading Russian companies specializing in boardgames. Our vertically-integrated group of companies acts as a publisher, distributor and retailer, uniting all existing kinds of expertise in the field of boardgames. We develop our own games for world-wide markets. Our company has a growing distribution network in more than 20 countries. We localize the best boardgames and exclusively distribute many highly acclaimed boardgame brands in the Russian-speaking markets. In Russia we own a chain of specialized boardgame stores under the trade mark Igroved which delivers an outstanding boardgame experience to all our customers. Moreover, Igrоved has become an important platform for the promotion of the boardgame culture in Russia with numerous open boardgame and charity events, collaboration with all kinds of private and social organizations that is aimed to increase the popularity of boardgames in Russia. 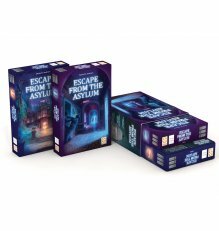 Find your way out of the asylum in this co-operative adventure! Work together to use the effects of the cards to your advantage. 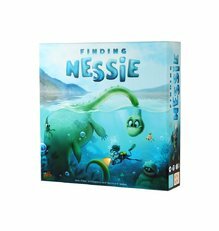 Explore the mysterious lake and capture the image of the famous Loch Ness Monster! Have you seen this gnome? Compile the portrait of the little troublemaker! We published our first game in Russia in 2007 and since then we licensed (from other publishers and authors) and put on the Russian-speaking markets more than 100 games, some of which are highlighted below. Through almost 10 years on the market our team acquired exceptional expertise in boardgames which helped us recently to successfully launch into international publishing with our original titles which we sell world-wide through the network of our distributors. Our games are already sold in more than 20 countries all around the world and it’s just the beginning! Being a bit of perfectionists we carefully select the most interesting concepts from both Russian and international authors and develop them into beautiful and entertaining high quality boardgames for families and friends. We put special emphasis on the packaging and the market potential of each game since in our opinion the best game has to sell itself! 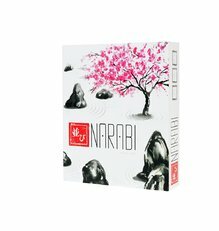 To see the board games that we put out on international markets, take a look at our catalog! Our main focus is distribution of the best boardgames in Russian-speaking countries and our main markets are Russia, Belarus and Kazakhstan. As a boadgame distributor in these markets, we probably have the widest selection of world-renowned brands in our portfolio. 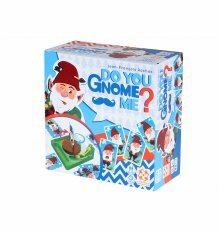 Lifestyle Boardgames Ltd. (the core company of Lifestyle Group) is an exclusive distributor of top brands like Amigo Spiel, Asmodee, Blue Orange, Cocktail Games, GameWorks, Gigamic, Hurrican, Logis, Noris Spiele, Popular Playthings, Professor Puzzle, Zoch. We also distribute games from Brain Games and Philos. Apart from Russia, Belarus and Kazakhstan, we also sell games to Ukraine by means of sub-distribution. Please download the full catalogue to learn more about products we represent on the Russian-speaking markets.